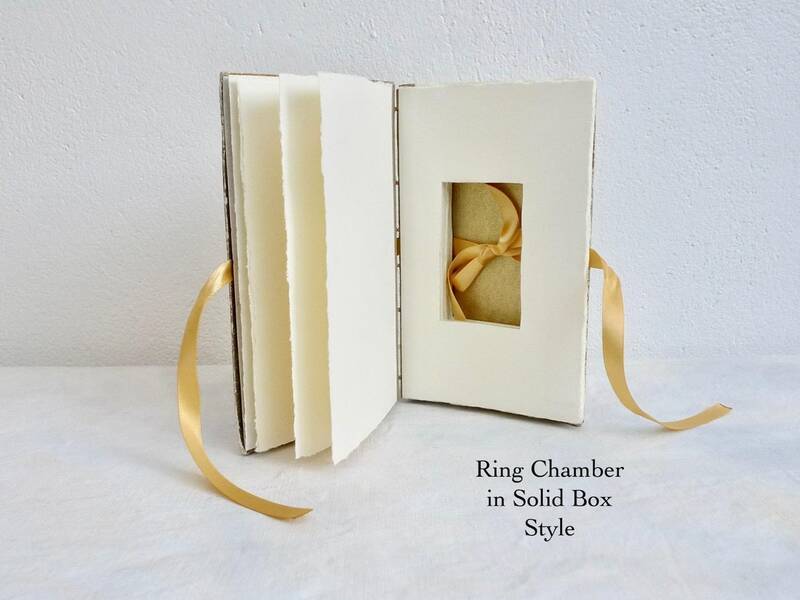 Pop the question with a romantic custom made ring box made from an antique French book. 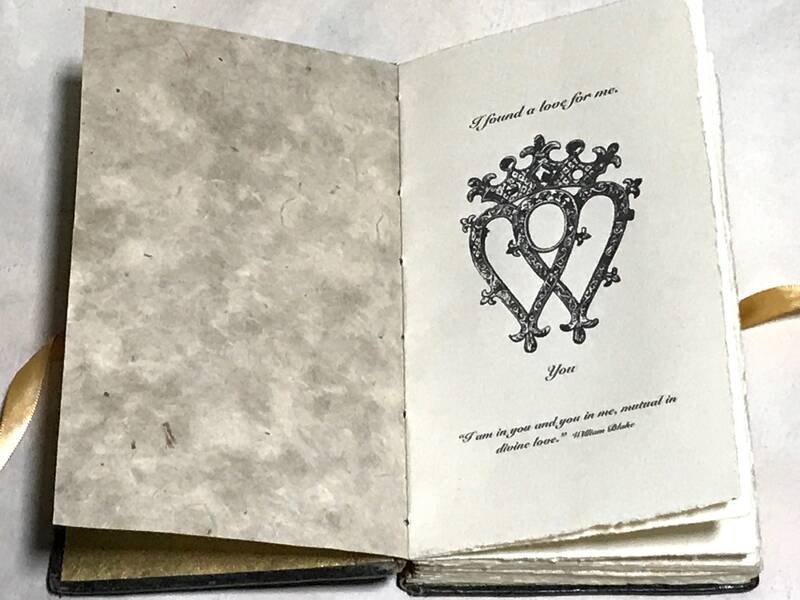 The interior can include blank or printed pages. Photos are samples of sold work. Please contact me to start your order. Book covers will be suggested based on your color and style preferences. You are not limited to what you see here, custom orders welcome, bring your ideas! 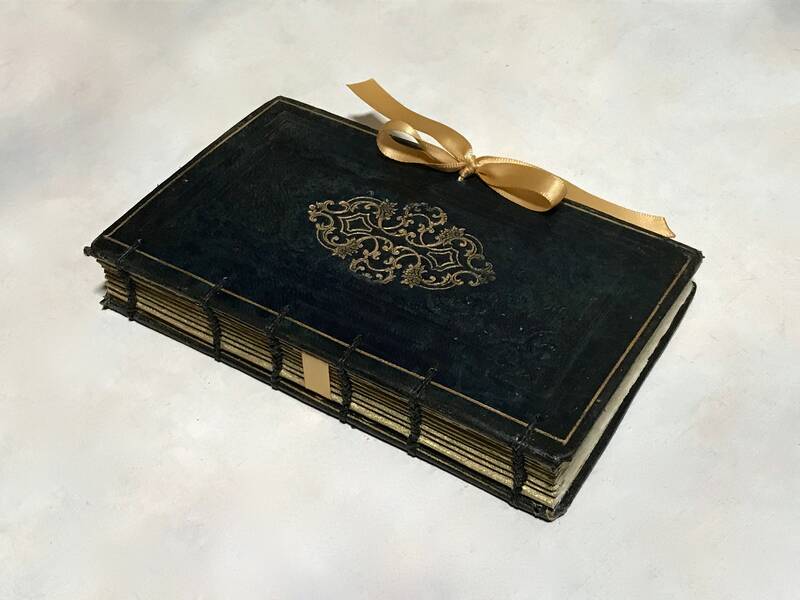 Made using an antique ornate French book rebound with blank or printed pages in the front and a chamber with a ribbon for the ring. 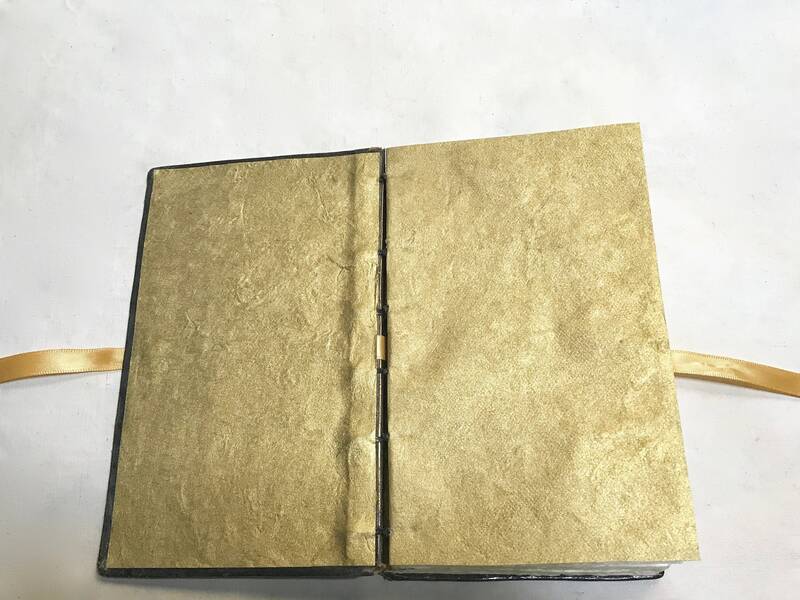 The interior chamber is cut into the glued pages (approximately 1/2 inch deep). 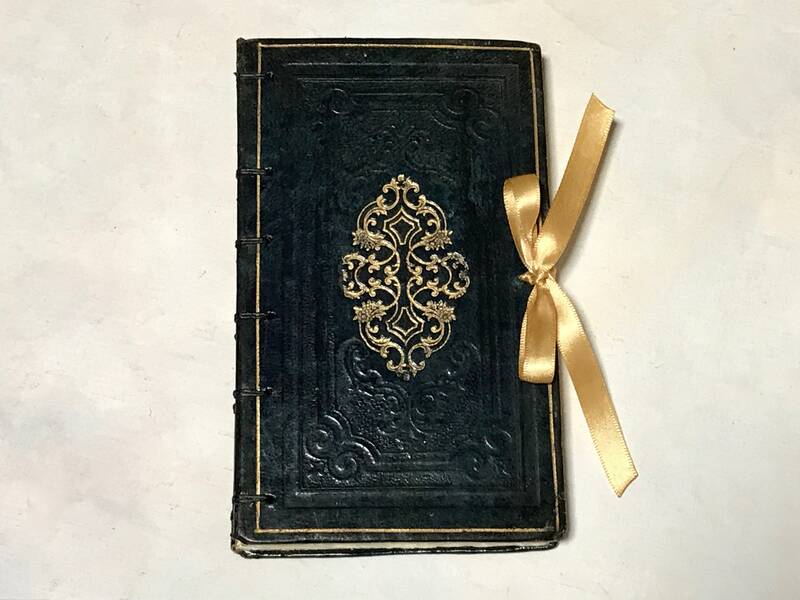 Price shown is for an ornate French antique book similar to the ones shown in the sample photos. 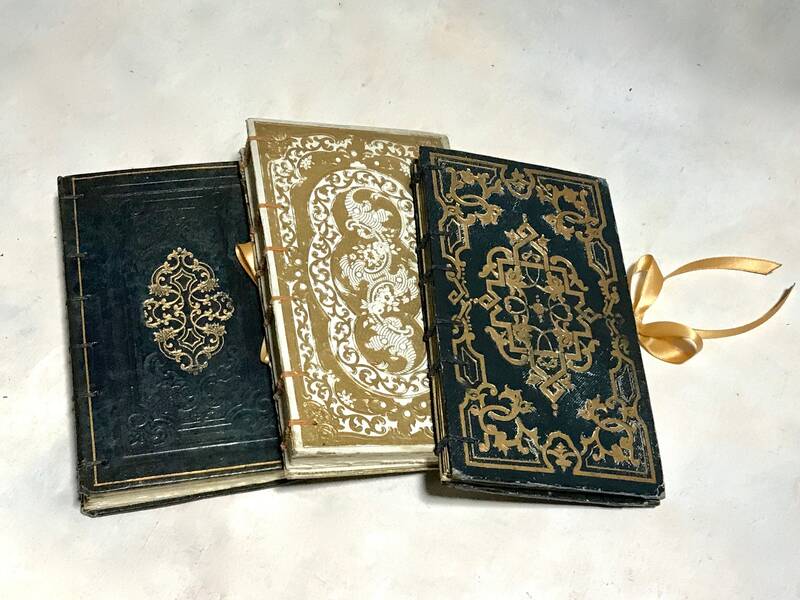 These books are small, around 4 x 7 inches (11 x 17.5 cm). 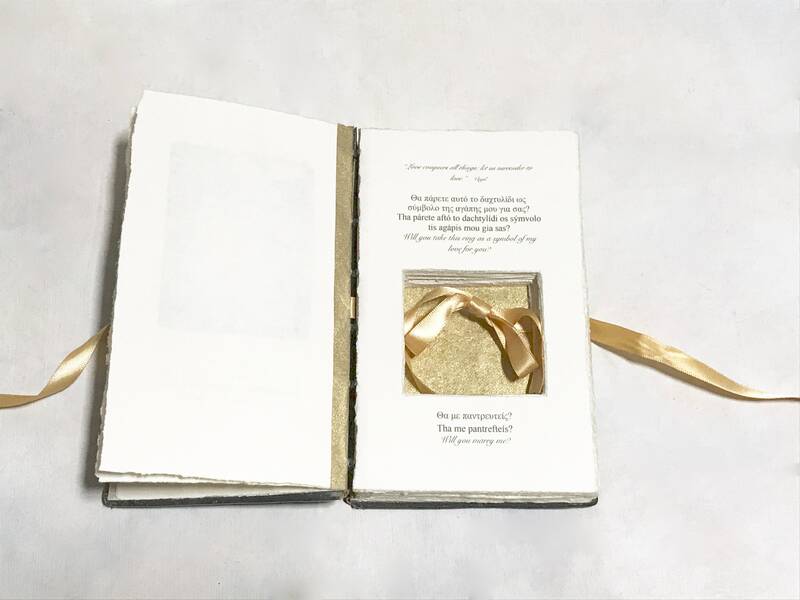 Comes standard with 15 hand-torn blank pages (counts front & back) and one personalized page printed with your choice of text or a design you provide, a gold, black or ivory satin ribbon and gold or cream accent paper. Surcharge for additional printed pages or to have photos printed inside. PLEASE SEE PRODUCTION TIME by scrolling down the page. If you need this item in less than 4 weeks, please contact me prior to purchase to review my schedule and rush options.